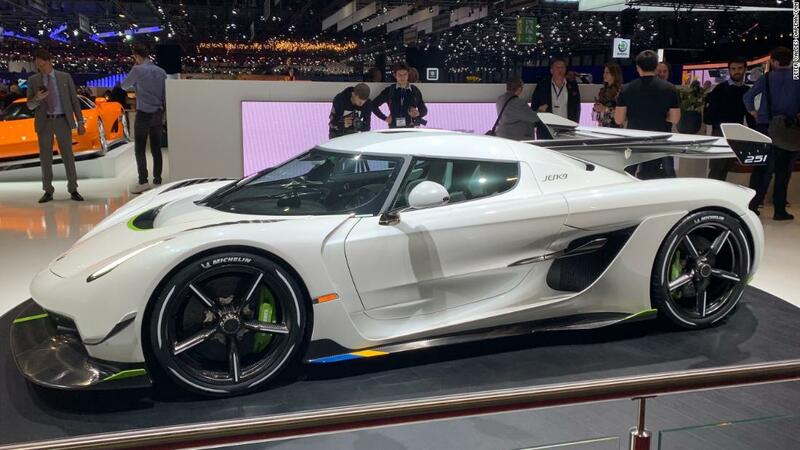 Geneva (CNN) Swedish automaker Koenigsegg claims its recently unveiled Jesko supercar should be able to achieve speeds of 300 miles per hour. The starting price for the Jesko, which Koenigsegg unveiled at the Geneva Motor Show this week, is roughly $2.8 million. It has a 5.0-liter turbocharged V8 engine that can produce 1,280 horsepower using regular gasoline or 1,600 using E85, which contains 85% ethanol. It also has a nine-speed transmission with seven clutches. Most automatic transmissions with clutches (most do not have them) use one or two. The multitude of clutches — one for reverse and six for forward gears — allows the transmission to instantly shift between any two gears. For instance, if the car is cruising in seventh gear and quick acceleration is needed, it can immediately shift down to fourth without having to step down through sixth and fifth. That saves time when accelerating. The driver can also select gears using a stick that resembles a manual transmission shifter. The Jesko’s body also incorporates several aerodynamic features, including an enormous automatically adjustable rear wing that can produce up to 2,200 pounds of downward pressure at extremely high speeds. It also has four-wheel steering. The rear wheels turn as well as the front wheels for tighter turns or smoother lane change maneuvers. 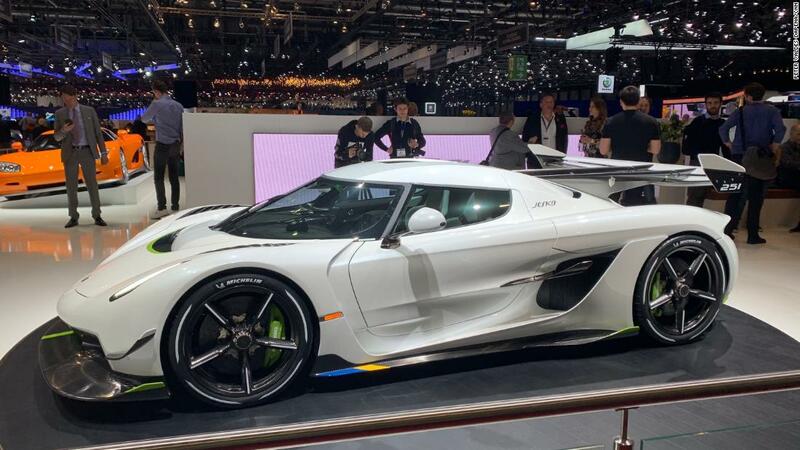 The car is named for the father of Koenigsegg’s founder and CEO Christian von Koenigsegg. Christian credits Jesko von Koenigsegg, now in his 80s, with supporting the company, both financially and with his business acumen, in its early years.